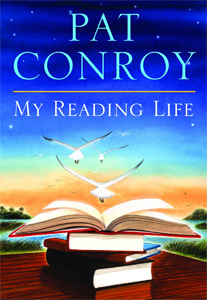 Pat Conroy’s My Reading Life will inspire all readers. In this memoir, he chronicles the people who influenced his reading and writing habits – driving home over and over how, for writers, these two practices are intrinsically linked. Reading Conroy’s history made me reflect on the influences of my own life and desire to become a better reader. Beginning with his mother and what admittedly crossed over to worship for Gone with the Wind, he describes the teachers, librarians, shop keepers and fellow writers who made him the writer he is. My favorite chapter is six, The Old New York Book Shop, where Conroy provides a peak into the writers community in Atlanta in the 70’s, 80’s and early 90’s. I can’t imagine what it would have been like to hang with Terry Kay, Stuart Woods, Terry McMillan and Anne Rivers Siddons. It makes me think about the writing community in Atlanta now and wonder at which names will rise to this stature – and there will be some. While despite some nudging from my good friend and fellow book addict, T., Conroy’s elevation of War and Peace to best book ever written. period., makes me want to read it, this is probably not something I’ll tackle soon. What I will do in the meantime is recommit to reading good literature – the type of literature I hope to someday publish – and reading lots of it, regularly. Conroy asserts that he has tried to read 200 pages every day since he was a freshman in high school. This is probably what it would take for me to get through the books I now want to read per Conroy’s recommendation: Look Homeward, Angel; Deliverance; Anna Karenina. Not to mention, a couple of his I haven’t read – The Great Santini and The Lords of Discipline. I was inspired by Conroy’s 10-year+ practice of talking on the phone every day to his high-school literature teacher, Gene Norris, and in the last months of Norris’ life, summarizing Conroy’s reading for the day. Isn’t this why many of us blog? We desire the conversation, dialogue over what we’ve read. It helps us process, explore and imprint to heart the treasures gleaned. Finally, chapter 14, Why I Write, should be required reading for every creative writing class out there. Any writer who is not inspired by Conroy’s ability to articulate his passion for the craft should consider an alternate hobby. This is a chapter I will return to over and over when I am tired or weary or tempted to settle for less in my reading or writing. Few things linger longer or become more indwelling than that feeling of both completion and emptiness when a great book ends. That the book accompanies the reader forever, from that day forward, is part of literature’s profligate generosity. This quote from My Reading Life gets at the core of why writing a book like this matters. It celebrates literature – its power to speak to us, shape us and in the end transcend the page.